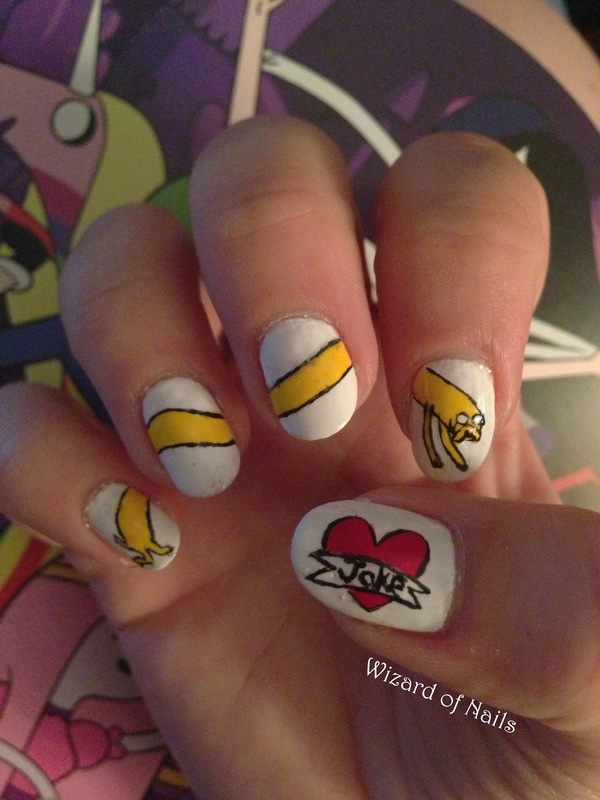 Wizard Of Nails: Adventure Time! 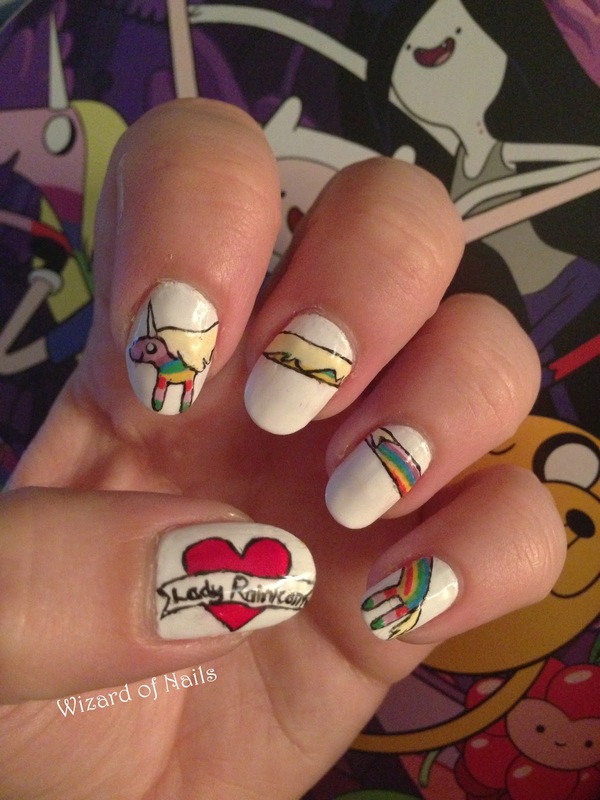 Discovered the awesomeness of Adventure Time recently so for my first Adventure Time nail art I decided to create some cutesy romantic ones with Jake the dog and Lady Rainicorn. I've stretched them out to have one character per hand as I wanted to create some quick and easy nail art. Then added 'Jake' and 'Lady Rainicorn' in hearts on the thumbs. To create these I painted a white base coat, then used a mixture of nail colours and nail art pens before using a thin brush (usually an eyeliner brush) to paint the black outline. Then two coats of Seche Vite - the best top coat I've come across so far. In other news I have changed the title of my blog to Wizard of Nails as I'd like to begin a new, more professional blog. Until that gets up and running I'll be changing this one slightly. Also these are my first nail art images to have the watermark of my blog name added.